← What Can You Expect When You Go Through a Dialysis? Most people automatically deduce that seniors, due to their old age and frail condition, should be homebound, isolated, or laid up. Although there are some cases wherein seniors need to be confined at home, it is always beneficial to engage them in social or outdoor activities, such as attending a family gathering and keeping in touch with friends. But sometimes, due to certain health conditions or physical disability, seniors may not be able to do so. That is why it is beneficial to hire Medical Transportation Services. A Non-emergency Transportation in Texas not only provides a safe transport to medical appointments or emergency situations, but it also helps elder people in attending social activities with the accompaniment of medical transport technicians and well-trained dispatch team. Undoubtedly, belonging in a social group aids in emotional health and helps avoid anxiety or depression. 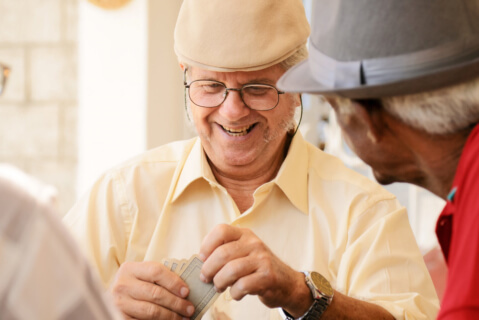 A study from the National Institute of Aging concludes that seniors who are socially engaged are more likely to have enhanced cognitive function. Keeping social connections also helps lower blood pressure, osteoporosis, and risks of cardiovascular problems. Furthermore, it can boost the immune system. Overall, family and friends can help seniors deal with the daily life stresses and encourage them to choose good health decisions. With that, they are more likely to live a longer and healthier aging when surrounded by family and friends. We understand that getting socially engaged is a key to healthy aging. To achieve all these good benefits for you or your loved ones with health conditions or disabilities, you may consider Force EMS, a Medical Transportation in Longview, Texas. This entry was posted in Social Activities and tagged emotional health, good health, social connections. Bookmark the permalink.